The Center for Baby Science is a new research center that opened in Doshisha University on October 1, 2008. The name “Baby Science” was newly adopted in line with our intention of creating a new academic discipline for the 21st century—by combining a wide range of research fields (including information engineering, physics, robotics, pediatrics, and psychology). Indeed, several issues pertaining to the minds and bodies of developing children are becoming societal issues. 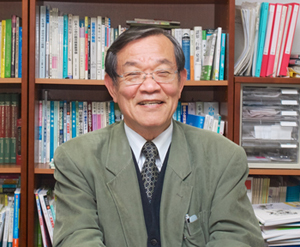 In 2001, we established the Japanese Society of Baby Science with the need to comprehensively examine the root of such societal issues. Since its establishment, researchers have collaborated in a multidisciplinary approach, and the newly acquired knowledge about developing children have been accumulated and reported eventually. We believe that our center is the first institution to realize this initiative in Japan. We conduct both longitudinal and cross-sectional research from fetal (as the inception of human behavior), newborns, infants, toddlers to adults. We hope our center to be open to everyone: our center must become a place where researchers from various fields gather, debate, and engage in collaborative research. In order to channel the research outcome of Baby Science back into society, we would like to collaborate with municipalities and corporations that are interested in our activities. We would like to offer child-caring consultation services and deliver consultations by visiting kindergartens and elementary schools. Currently, we have been training childcare assistants and improving the quality of nursery-school teachers and daycare providers in collaboration with local government and companies. We believe that learning Baby Science is effective in improving the quality of such professionals. We have also been held courses for such professionals in Osaka and Tokyo. Our center will also actively hold lectures. The Center for Baby Science will fulfill its vital function: Being a place where researchers from different disciplines interact to understand babies per se from various aspects, and being a place where fundamental research and practical areas interact to channel research outcomes to benefit all of our babies.